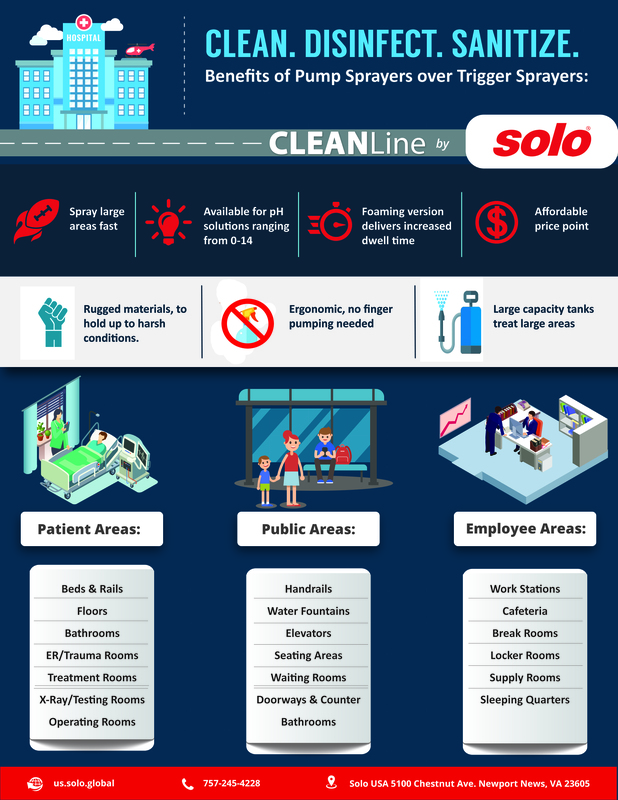 For hospitals, cleanliness goes well beyond what is seen. Hospital onset infections such as C.diff and MRSA are causing illness and even death to patients coming to the hospital to get well. According to the CDC, on any given day, approximately one in 25 US patients has at least one infection contracted during the course of their hospital stay. Proper disinfection and sanitation is necessary to reduce healthcare associated infections, but that can be a difficult task. From cleaning, to disinfection, to sanitation, CLEANLine sprayers deliver chemicals to broad areas and in the tightest corners.